Chewing Gum Sigma Mixer comprises of a double 'U' shaped container welded and machined together inside which rotates two 'Z' shaped sigma blades in opposite directions. The clearances between the walls and the container are kept to a minimum to ensure maximum efficiency in kneading and mixing. The shafts of the sigma blades are fitted in bearing blocks which are each provided with roller bearings, steel glands/PTFE rubber seals for smooth and leakless operations. The kneader is mounted on a sturdy base frame fabricated out of ISMC sections and are free from vibrations. For cooling and heating jackets are provided. GMP / Non GMP / models. Discharge in sigma mixers is done by tilting container / bottom sliding valves / bottom gates / flush bottom gate valves. Tilting in sigma mixers is done by hand liver / hand wheel with lead screw / electrical arrangements / hydraulic systems. Lifting of lead either manually, with help of counter weights or hydraulically. 'Z' Type Spiral blade / Naben / double naben blades to circulate hot / cold water in cases of heavy masses. Jacketed shell for heating or cooling by steam, oil, water etc. with fiber glass insulation over the jacket. Spray system for liquid addition / gas purge. Flame proof / Non-flame proof electrical controls. 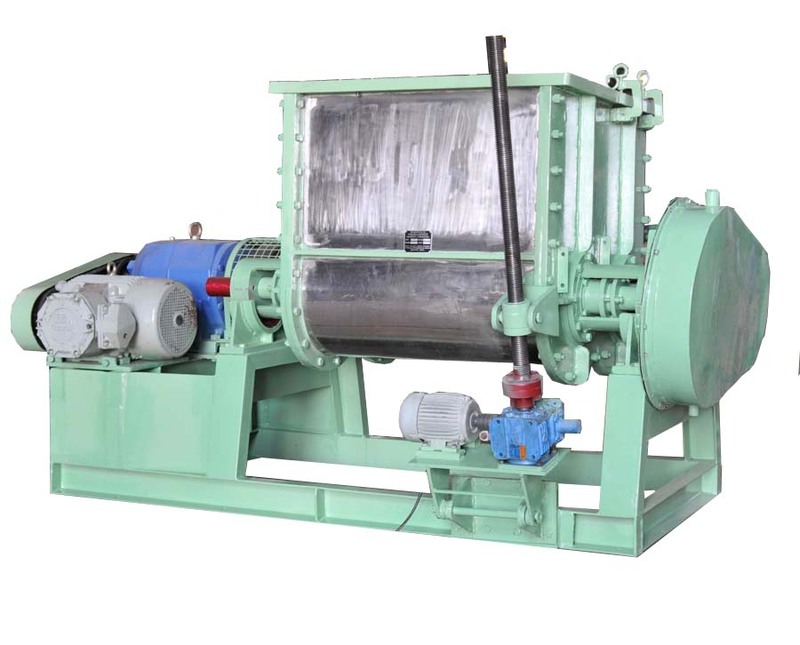 In sigma mixer, Mixing Trough and Blades are fabricated from mild steel, stainless steel 304 and 316 grade. Blades of sigma mixers are designed to obtain thorough mixing of high viscosity materials. Sigma Mixers Blades are machined to keep minimum equal gap between through walls and blades. Sigma mixers have fixed with Heavy-duty gears to sustaion of load of Kneading. Shaft sealing into the stuffing boxes is provided by Teflon Chevron Rings / PTFE breaded gland rope to prevent leaking from blade ends. Safety Guards and Grills are provided for maximum safety in sigma mixers.